"2 Night Budget - Dorm Style Accommodation, Tours and Transfers"
NB: The Field of Light Experience has been extended until December 2020. Arrive in Uluru in the morning or early afternoon and catch the shuttle bus to the resort before beginning to explore Uluru Kata Tjuta National Park. You are welcome to take part in the afternoon resort activies including Didgeridoo playing, Spear & Boomerang throwing and Wakagetti Cultural Dancers. 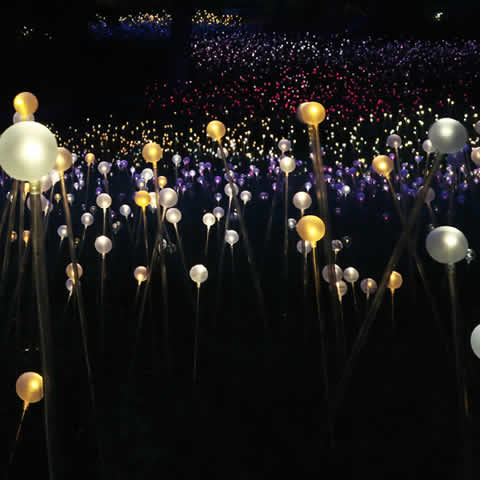 In the early evening you will be picked up from your hotel to visit the magnificent Field of Light art installation by international artist Bruce Munro. The Field of Light Star experience begins as darkness falls and the coloured lights of the glass spheres come to life. You have ample time to immerse yourself in the monumental light installation as you walk through the Field of Light. You are then transferred back to your accommodation where you will have can enjoy dinner at any of the many restaurants / cafes within the resort (own expense). Departs: Daily 30 minutes after sunset from Ayers Rock Resort Returns: Approximately 2.5 hours after sunset to Ayers Rock Resort. Inclusions: Accommodation (4 share dorm bed at Outback Pioneer), Coach Transfer to Hotel, Field of Light Pass, National Park Entry Pass for duration of package. Day 2: Around Uluru - Uluru Sunrise & Kata Tjuta Tour, Afternoon Uluru Base & Sunset Tour. 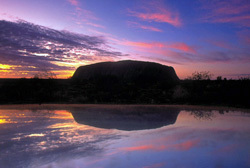 Rise early this morning to travel to the Uluru sunrise viewing area. The platform offers an incredible view through the dunes and stunning desert landscape as the sun rises over Uluru and Kata Tjuta. Watch the first rays of dawn whilst enjoying a warming cup of tea or coffee and biscuits. 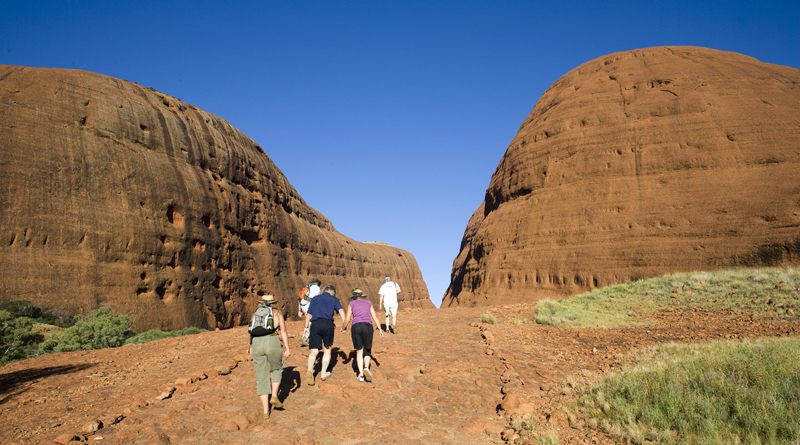 Your Guide will give you an historical overview of Uluru – Kata Tjuta National Park. The Aboriginal people have lived in the area for 22,000 years, so there’s plenty of history to cover. Arguably Australia’s most recognisable and fascinating icon, Uluru (Ayers Rock) stands 348 metres high, however, most of its mass is below ground level. You’ll be overwhelmed by its incredible size, presence and inherent spirituality. Then just 40 kilometres to the west of iconic Uluru, we’ll take in the sites of Kata Tjuta, also known as the Olgas. You'll stop at a viewing point that boasts the most spectacular views of Kata Tjuta, before heading to Walpa Gorge. Walpa (meaning windy) Gorge is a lush desert haven for plants and animals. The gentle but rocky track will lead you into a world of rare plant species and lush evergreen shrubs known as Spearwood. Your Guide will lead you on a one hour walk through the gorge, sharing stories of local flora and fauna, and the geology of this amazing formation. After Lunch and some rest and relaxation back at the resort you will be picked up mid afternoon for a coach tour around the base of Uluru. You’ll be fascinated by the Aboriginal stories that go back many thousands of years. You’ll head to the Kuniya Walk visiting the famous Mutitjulu Waterhole. The waterhole provided a key source of water for the Aboriginal people in the area and had been in use for many thousands of years. You’ll see wonderful Aboriginal rock paintings and come to understand their significance. You'll then visit The Uluru – Kata Tjuta Cultural Centre which houses an amazing collection of original ceramics, paintings and punu (woodwork) that provide an insight into the unique and spiritual culture of the Anangu, the traditional custodians of Uluru. 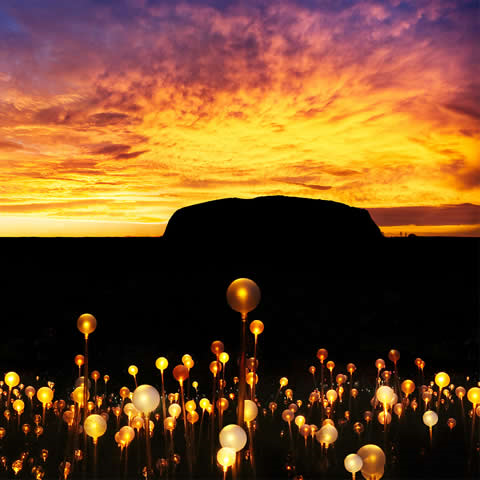 Finally you’ll head off to the Uluru Sunset Viewing Area where you’ll be served from a selection of Australian wines and nibbles while you absorb the enormity and beauty of your surroundings. You can just sit and relax or stroll around the area to find your own personal space to watch an amazing Red Centre sunset. Inclusions: Accommodation (4 share dorm bed at Outback Pioneer), Morning: Uluru Sunrise and Kata Tjuta Tour. A free morning to relax and sleep in or laze about the pool. For the more adventurous take the opportunity to wake up early and experience another crisp morning and sunrise around the Rock. Depending on your interests and what time you are departing feel free to include another sunrise tour (extra cost) or take part in the resort morning activities including Guided Garden Walk, Indigenous Art Classes or be captivated by Indigenous Bush Yarns. NB: (Package includes transfers from the resort back to the airport). 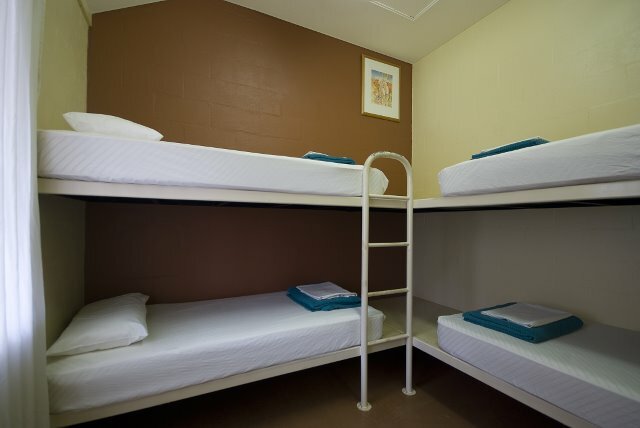 2 nights 4 bed share dorm room at Outback Pioneer Lodge **Includes transfers to and from the airport. Package includes a 3 Day park entry pass valued at $25 per adult. This tour includes an Uluru Sunrise viewing, biscuits, tea & coffee and escorted walk through Kata Tjuta Walpa Gorge. Afternoon Uluru Base Coach Tour, Mutitjulu Waterhole & visiting Kata Tjuta Cultural Centre and Uluru Sunset viewing with sparkling wine and nibbles. Child are not permitted to stay in the shared dorm rooms. However we can upgrade to private rooms to allow for children to participate in the tour - contact us for pricing and availability.